WhatsApp is a most popular android app used to send messages, pictures, videos, and initiate voice calls. This android app is very useful for instant messaging. This android app is very popular among young peoples. WhatsApp is growing fast because of few of its great feature. This android app doesn’t make any effect on picture quality. Because it doesn’t change picture size sent over it. Now, let’s come to the point. WhatsApp has a built in function that it shows a single tick mark when the message is sent from your device. That tick mark gets dark blue when the receiver is get connected with the internet. There shows two tick mark when the receiver party reads the message. This android app has a plus point that sender of the message can know when the message was read. Also, the sender can know the last time (last seen) when the receiver party opened the app. To me, it’s a great feature. Sometimes this great feature turns into a big problem. I am not going to describe you about the problem as all you know well about the problem. Rather I am going to tell you how to get rid of this Blue Double Tick mark on WhatsApp. We are going to apply a very simple trick to see messages from WhatsAapp without showing blue tick mark. We will use an android app named Shh WhatsApp. Shh WhatsApp incognito best works in android devices. First of all, you will need the main WhatsApp application. If you have the latest version of WhatsApp then it’s okay. If you don’t have then you can download it from Google Play store. Here, I am giving WhatsApp’s download link from Google Play Store. Now install it to your android device. Go to Google Play store and download “Shh WhatsApp Incognito”. Here is the download link from Google Play Store. You can download it from outside of Google Play store. But I recommend downloading this android app directly from Google Play store. Install this app onto your android device. We are almost ready to read messages without showing blue tick mark. 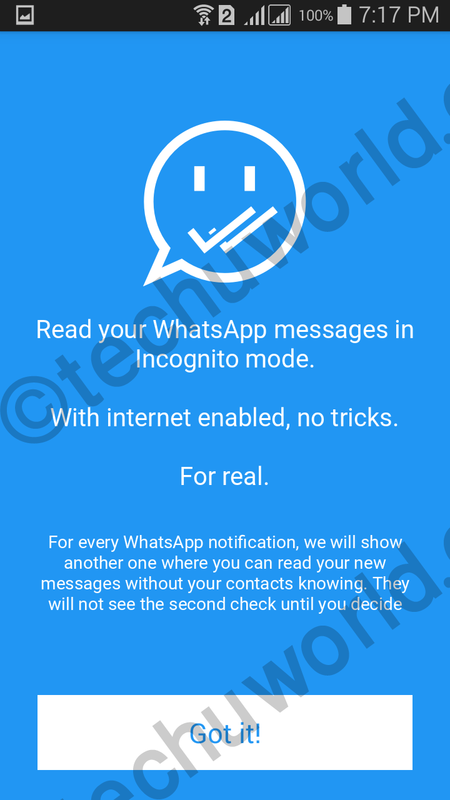 Now, Open Shh WhatsApp incognito and touch on GOT IT! 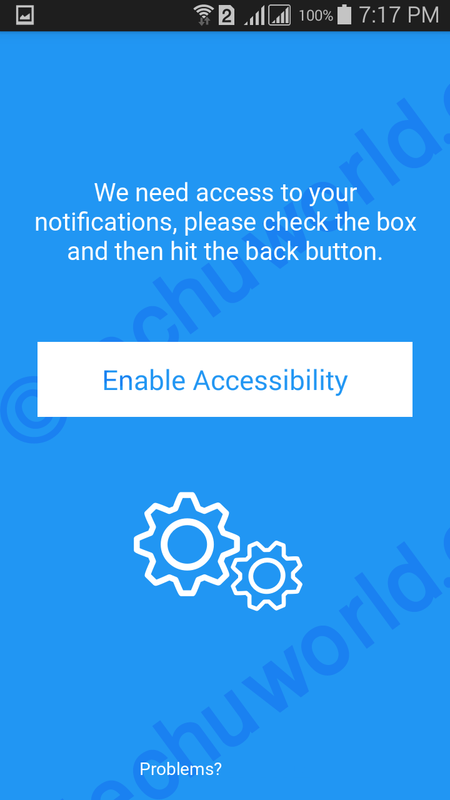 Enable the notification control by pressing Enable Accessibility. Now give a tick mark on the check box. Nothing will happen now. Don’t worry, go back pressing back button on your device and you will be taken to this page. and now tap on “I UNDERSTAND”. We are almost ready just one step to go. While tapping I UNDERSTAND Shh WhatsApp incognito will show you three option. Number one is for checking both User and Groups messages. Two is for for checking only Users messages. And three is for checking only groups messages. In the next screen, you will get a chat box where you can read messages without showing blue tick mark. 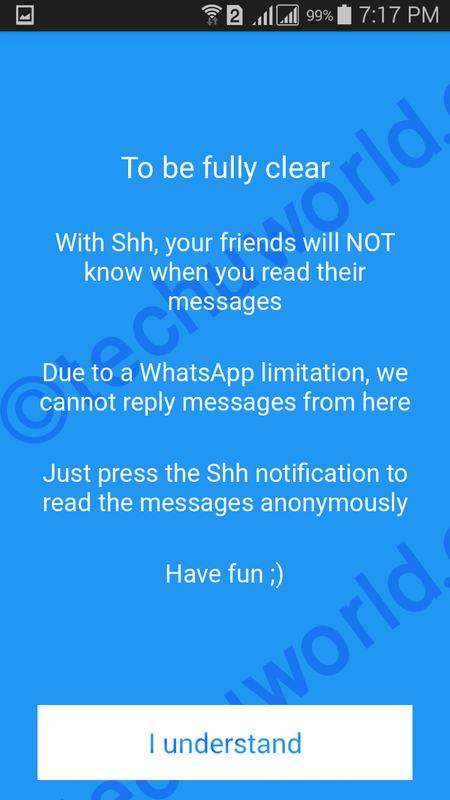 Note: Do not open main WhatsApp application while reading messages with Shh WhatsApp incognito. Ask me anything if get into trouble. And share it if you liked it. Next post What is blogging? Should I start writing a blog to earn money?